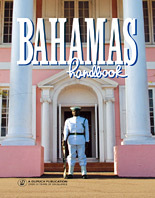 Essential information on the government of The Bahamas' immigration policy, adapted from the Bahamas Handbook. The government’s immigration policy is aimed at ensuring the reasonable security, well-being and economic progress of The Bahamas and its people. The government gives consideration to citizenship, permanent residency and work permits for non-Bahamians provided there is compliance with the immigration laws of The Bahamas and policies of the government. Accelerated consideration is given to applications for annual or permanent residence by major international investors and to “fit and proper” owners of residences valued in excess of $500,000. As The Bahamas is a major tourist destination, every effort is made to keep visitors’ immigration formalities to a minimum. Non-Commonwealth citizens should inquire at the Ministry of Tourism and Aviation for entry requirements, as they vary from country to country. Visitors must have a return ticket to their homeland or to some other country where they would be accepted. Visitors may visit The Bahamas for up to eight months, provided they can indicate means of financial support for this period. Visitors are not allowed to engage in any form of gainful occupation while in The Bahamas. 1. Spouse or dependent of a citizen of The Bahamas. If an applicant is married to a Bahamian citizen, a resident spouse permit may be issued, provided the marriage has existed for less than five years. The resident spouse permit is issued for up to five years. An application can be made for permanent residence or citizenship after five years or more of marriage. 2. Spouse or dependent of a permit holder. In addition to the usual application process, a copy of the sponsor’s work permit, permit to reside, certificate of permanent residence or other lawful authority to reside in The Bahamas must be included. 3. Independent economic resident. As part of the application process, a financial reference is required from a reputable bank verifying economic worth, and two written character references are required. For an annual residence permit, a head-of-household pays $1,000 and each dependent, $25. 4. Resident homeowner, or seasonal resident homeowner. Under this category, non-Bahamians who own second homes in The Bahamas may apply to the director of immigration for an annual homeowner’s residence card. This card is renewable annually and entitles the owner, spouse and any minor child/children endorsed on the owner’s card when travelling with the owner, to enter and remain in The Bahamas for the validity of the card. The fee is $500 per year and is intended to facilitate entry into The Bahamas with minimal formalities, entitling the holder to visit for a stay of up to one year. Successful applicants in any of the above categories are not permitted to engage in employment. An inflexible principle of The Bahamas government is that no expatriate may be offered a position that a suitably qualified Bahamian is available to fill. Employers with vacant posts are required to advertise locally and consult the Bahamas Employment Exchange. If unsuccessful in fulfilling their requirements by these methods, they may apply to the Dept of Immigration for permission to recruit outside The Bahamas, following a formal application process. Normally an application will not be processed if the prospective employee is already in The Bahamas, having entered as a visitor. 1. A Bahamian who is qualified to fill a position should be given the position in preference to anyone else. 2. The Bahamian must be given that job on the same terms and conditions as any expatriate counterpart. 3. Where the company has a career structure, whether here or abroad, the Bahamian employee must be given the same opportunities for advancement as would be afforded other employees. 4. The Bahamian employee must be helped whenever possible to broaden skills in a chosen field of endeavour by constant exposure to further training at home and abroad. Where work permits have been granted, each employer will be required to identify a suitable Bahamian to understudy the expatriate so that the Bahamian trainee will fill the expatriate’s position within a reasonable time frame. 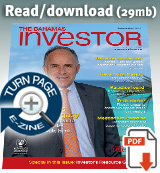 Genuine investors usually have little difficulty in complying with these requirements. Employers may obtain permits for longer periods than the standard one-year period in respect to certain key personnel on contract. Such contracts should indicate their renewal would be subject to obtaining the necessary immigration permission, and they may be endorsed to the effect that the employee is expected to train or be replaced by a suitable Bahamian within a stipulated period. Each permit issued by the Immigration Board relates to a specific post. Permits are not altered by the director of immigration to reflect change of employment or residence. However, a person holding a work permit may make application for a new one (his new employer having been unsuccessful in recruiting a qualified Bahamian to fill the post) without having to leave the islands. The renewal of a permit on expiration is not automatic. Generally, no expatriate may be continually employed in the country in any capacity for more than five years. However, there are likely to be cases where hardship will be caused by rigid implementation of this policy; according to government, this factor will be kept in mind in applying the regulations. A bond is required for each person granted a work permit, if necessary, to repatriate the employee and his dependents and to pay any public charges, including medical expenses, incurred by the employee. Travelling sales representatives planning to do business in The Bahamas must obtain work permits from the Dept of Immigration and a licence from the Licensing Authority. The Business Licence Act, 1980, made it mandatory for anyone operating a business aimed at obtaining a turnover to apply for and obtain a licence. Annual licence renewal applications and payments are due every Jan-Apr, and expire on Dec 31. Fees are based, for most businesses, on their annual gross receipts less the direct cost of producing the turnover. They range from $100 for a petty business to 11?2% of turnover or $500,000 (whichever is greater) for a very large business with a high profit. Companies designated non-resident under the Exchange Control Regulations Act pay an annual fee of $300. Companies licensed under the Banks and Trust Companies Regulation Act, 2000 (which imposes separate fees), do not pay for a business licence. Gas stations pay a fixed fee of 1?5 of 1% of turnover (a business with a turnover of $250,000 per year or more). The Act’s definition of business includes all types of manufacturing and commercial undertakings and covers professions such as law, accounting and medicine. Where a business consists of separate and distinct undertakings, a separate licence must be obtained for each. A non-Bahamian or a company not 100% Bahamian-owned must first obtain approval from the National Economic Council and then wait for the licence application to be approved before commencing operations. Renewal of a non-Bahamian business licence is at the discretion of the Minister of Finance. Applicants for this status of residency must be of good character and prepared to show evidence of financial support. Such an applicant must also state that he intends to reside permanently in The Bahamas. 1. As the spouse of a citizen of The Bahamas, and in the case of a male, he must have been married for not less than five years. Women married to Bahamians may apply at any time after marriage. • established roots through family ties. People who held valid certificates of permanent residence prior to the Immigration Act, 1975, continue to hold such status automatically. A business-sensitive legal framework and investor-friendly climate encourages non-Bahamian investments, supported by the Bahamas Investment Authority (BIA), Office of the Prime Minister. Although an investor is granted a licence by the Licensing Authority, a work permit must still be sought to be resident and an employee of/or operating the business. We demystify the fees involved with international real estate sales and what it takes for a foreign investor to buy property in The Bahamas.